You can introduce yourself in this topic, let Heroes of Enroth know more about yourself. When did you played Heroes of Might and Magic for the first time? What HoMM you discovered first? What HoMM community you frequently visit? Have you ever made maps for HoMM? What others old games do you play? What do you hope to see / to do on this forum? What else should we ask you? How did you discovered this forum? Okay, let me begin. !lol! - Well, I don't recall correctly, but it is something about 17 years ago when my father showed me HoMM2 (and HoMM1 with HoMM3 a bit later. We both played it, but it was only me who kept the love burning for so many years. - Usually I can't get enough Heroes communities. I visit Heroes Community, Handbookhmm.ru, many VK pages dedicated to Heroes and MM franchises. I visit Russian DF2 community the most often and have become one of the most active users there. I enjoy seeing people sharing my thoughts on various points. - If I recall correctly, I made a series of humor maps when I was a kid, the main feature of which was the huge amount of text events joking on my real life friends. I never finished a map large enough though because of my bad feature - I love to start many endeavors and not bring them to the end. I hope to break this "tradition" with my current projects though. - I play mostly old games. My favourite is Lords of Magic: Special Edition, and also I love Might and Magic 6-8 games, Fallout 1-2, Majesty: The Fantasy Kingdom Sim, Duke Nukem 3D, Rage of Mages 1-2, Space Rangers 1-2. The latter two are Russian games which are made on an incredibly good level for their time, and they are still addictive. - This is the most important question. !twisted! Basically, I see much potential in this forum because it was my dream to have a community with customized H2-themed interface and smilies. And if there are no one going to make these smilies, I will do it. To be frank, I would like this forum to become an international Heroes 2 board, with some regards for H1 and MM6, and perhaps another games made by NWC for a little. I am thinking about setting up a chat place, because it's a popular theory that forums don't live without general chatting boards. Perhaps there is something right about it; we will see when the forum will be finally launched and people will see it. - I speak Russian and also I have acceptable knowledge of English. Also it's fun for me to visit many Slavic boards and see many familiar words, sometimes I am even able to understand the text. Also, I support the idea of a universal language, like Esperanto, but never had the time to actually try learning it. About 1998-1999. 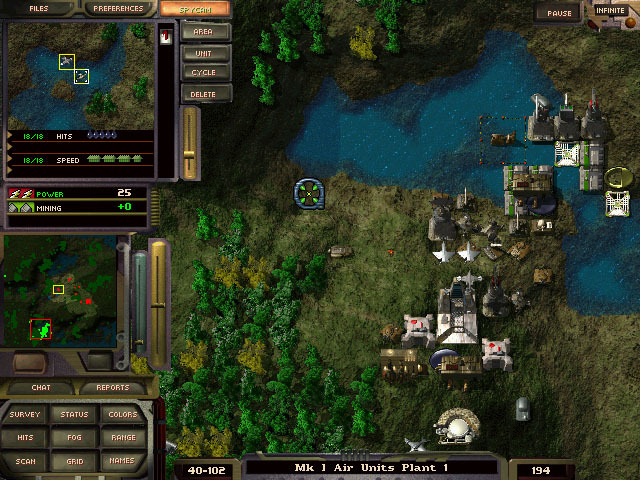 It was illegal HoMM2 in English, our (my father`s and me) first PC game except Winmine. Once earlier we had ZX Spectrum and it was really impessive to see HoMM2 with its gameplay, atmosphere and graphics. Till december 2013 I haven`t visit any communities, haven`t talk about, because was sure, that`s no fans and communities . I knew only 1 "colleague", we were going to gather team and participate in any creative competicion with fanart and fanfiction. I decided to refresh my lore and came across Russian M&M fansite, there were links on VKontakte`s fan-communities. Anyway, I found some interesting people and have been invited by Orzie on DF2 forum I visit all these communities every day. I hope to see an active international Homm2 community! Hello Heroes of Enroth ! Once upon a time, an Hero called GodRage-Aonwa played HoMM and enjoyed it. He made HoMM2 stuff and lived happy. Lord ironfist trying to kill everybody. I enjoyed the first map of this campaign. Archangel Castle (french one) and here. International Rally Shampionship. !o The only racing game that has been really tasty. Offline tournaments, all playing the same version of the game for each tournament. French native, English fluent, Japanese fluent, Spanish basics, html native, php basics, css fluent. Archibald, are you going to bring here some friends? I am not a lady; but when I registered on the forum it was in Russian, and I just selected words with the most fancy letters. Then when I was able to put in English I changed all things to "correct things" but I can't change my gender. My prefered sorceress is Gem! Well, Gem is also awesome. I enjoyed her comeback in H3 SoD where she had a much cooler portrait, resembling her H2 identity and showing her true beauty. 1. Well, HoMM 1 were pre-installed on my first PC, I had bought it second-hand from some suspicious guys in ... 1995 or 1996, I guess. This PC had no CD and no sound-card (I had not much money in those times) but I was absolutely happy with it. 2. I hope, THIS ONE will be the HoMM community I will visit frequently. Oh yeah man, I can understand that. That's why I'm not going to have children in the nearest 5 years at least. Welcome in our Forums, Sawelios! I'm happy to see someone else enjoying Homm2 and Diablo2 and M.A.X.! I even dreamt of a crossover mod once, adding Starcraft characters as playable Diablo characters with their own skills, weapons and abilities. Here is one image I made for fun. Hmmm I never played MAX2, but my cousin was playing it... And by memory (I am 1% sure! ), there isn't turns in the game (everybody play the day1 at same moment). 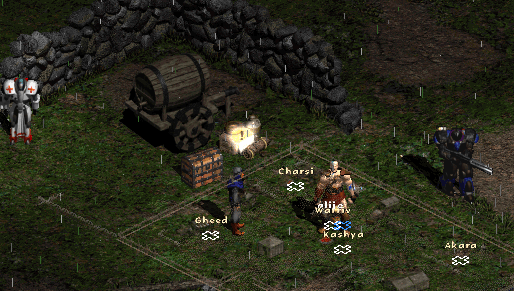 Hmmm I never enjoyed mods in Diablo2. Maybe because you can't play it on the official servers. But, I think time to time to make an online game half HoMM half diablo-like. You can choose classic turn-based (IGOUGO), simultaneous (WEGO) or even real-time mode. Sawelios, can you send me your exe (Maxrun.bat ? Max.exe ?) of MAX1 that works in your computer? Well, if you give me some time, I'll can do it, well... January 3. PlugY is a good mod, but only for single player... And for Diablo2, in my opinion, playing alone is a fail. But when I look the screenshot... I see kind of the same difference between MAX1 and MAX2 that there is between H2 and H3. MAX2 (and H3) are too much wanting to look-likes real pictures. Maybe there is a mod for having MAX2 with the design of MAX1? Let me to introduce myself properly, by following your proposed and well-put questionary. I don't even remember when I played HOMM for the very first time in... 1995 or 1996? (I own one of the earlier packages of the Spanish edition to prove it). So, yeah, my first was the HOMM I! And I visit English-speaker communities right from the moment the all-mighty nostalgia came up, in my early twenties. On the other hand, I've certainly made a lot of maps for HOMM II, III, IV and even V, but few of them have survived in the process of changing computers. It's sad, I know Anyway, I've recently elaborated one based on Tolkien's Middle Earth (you're able to download it from my website). I'll do more, by all means. 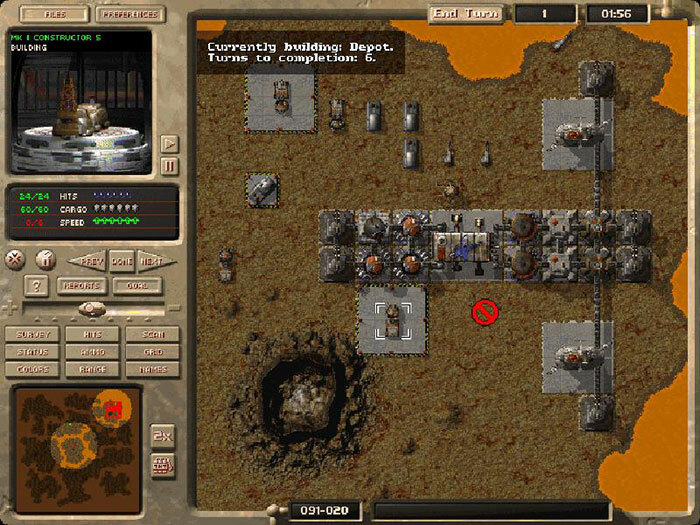 Regarding the games I play, well, not many lately (apart from Mount and Blade Warband, hehehe), but I used to play all the abandonware in the world, during my boyhood and many years after, focusing my attention on strategy games, point-and-click adventures and RPG. What about my hopes on the forum? Honestly, just one: modding! I encourage you to go through with it, fellows! HOMM II is my favourite, so I really wanna see new features and resources which enhance its delicious framework. And finally I speak Spanish and English fluently, and I can read in French, Portuguese and Italian, not to mention my devotion for the Classical languages. I find the forum quite useful and aesthetically appealing. Congratulations on that! Welcome to Formus of Enroth, tophatchild ! Thank you for what you say about the forum and his graphics ! I also enjoyed Mount&Blade a real lot. That was like a discovery for me. There was even a Polish mod which transfered Heroes 3 concepts to M&B. Too bad it's dead, it was a major heartbreak. My favorite mod is A New Dawn: http://www.nexusmods.com/mbwarband/mods/5939/? True, it's really a shame. At least they didn't touch H2, lol. I hope their creation will get many negative reviews as it deserves. By the way, today I figured out that the H3-dedicated M&B mod is alive! What a joy. 90 % of the comments are made by pissed guys who bought the game believing in the crappy argument of "rediscovering" a new dimension of Heroes and such. But the point is the price... c'mon! 15 € for a deceitful and ill-enhanced edition otherwise modded during 10 years Ubisoft deserves the worst. On the other hand, I must try the mod you mentioned. I'm astonished by the skilled people you may find out there. There are some delicious pictures which deserve attention. I used to play to HOMM II when I was a kid, I was like 6. I was so terrible that i always used the magic 32167 and it was very funny for me, I played like hundred of hours to it. I've never played others HOMM games, I just enjoy HOMM II as a game of my childhood. As i got a bit bored I've decided to start a speedrun of this game, because I didn't find any on the web. That's probably just an idea that's gonna drop off in a few days, but while it's there I'd like to discuss things about how the game work. Is there any sub-forum here for this topic ? Do you have a link ? I'd like to see it.